Manchester's top student night every Tuesday! 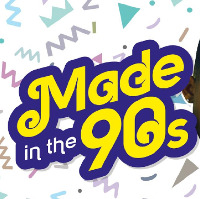 Made In The 90s ▬▬▬▬▬▬▬▬▬▬▬▬▬▬▬▬▬▬▬▬▬▬▬▬▬▬ Fifth's famous Made In The 90s brings Manchester's top student night to the table, bringing the top 90s and 00s tunes all night and drinks that are only 90p. MUSIC ✘ ▬▬▬▬▬▬▬▬▬▬▬▬▬▬▬▬▬ ARENA ♫ Alternative Dance ♫ Indie ♫ Commercial ♫ BUNKER ♫ Hip Hop ♫ R'n'B ♫ Grime ♫ DRINKS OFFERS ✘ ▬▬▬▬▬▬▬▬▬▬▬▬▬▬▬▬ ☆ 90p Drinks CONTACT US ✘ ▬▬▬▬▬▬▬▬▬▬▬▬▬▬▬▬ For all bookings: ► Call: 01612362754 ► Email: hello@fifthmanchester.com INTERACT WITH US ✘ ▬▬▬▬▬▬▬▬▬▬▬▬▬▬▬▬ ► Follow us on Twitter: http://twitter.com/fifthmanchester ► Join our fan page: http://www.facebook.com/FifthMcr ► Follow and like our Pictures on Instagram: FifthManchester ► Website: http://www.fifthmanchester.com/ IMPORTANT Please arrive EARLY to avoid long queues and any disappointment. All tickets holders will have a separate queue. Ticket holders are advised to arrive before 11pm. Paying in on the door is still an option available. Buying an Advance Ticket is Advised.